Lauren and Orlando met through friends. 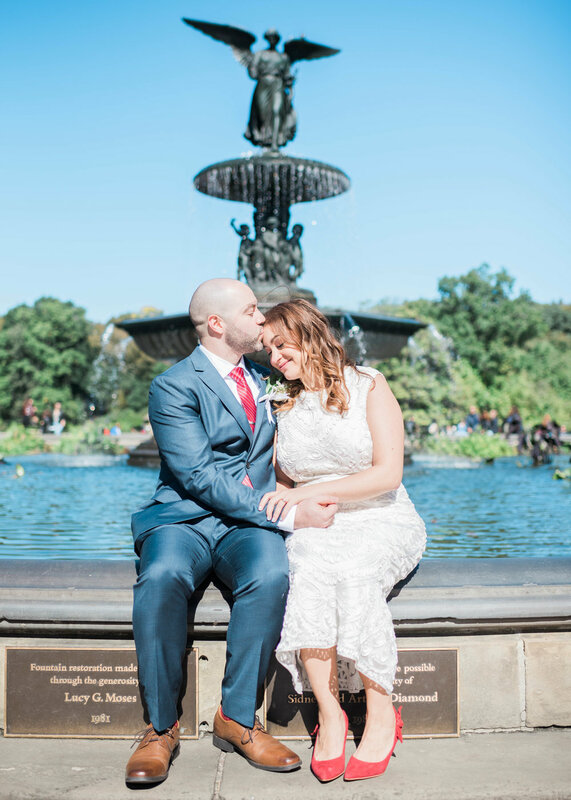 They secretly planned an elopement with only their cousin and I as witnesses in the Conservatory Gardens in Central Park. To experience the high that they were on for two hours before they told everyone was amazing. For the four of us to be the only secret keepers even if it’s just for awhile was the best. I’m so grateful that I was able to be there to capture it all as they made their lifetime together official. Congrats Lauren and Orlando!! So happy for you both! I'm so excited to spend the rest of my life with someone who completely accepts me for me. Orlando has such a sweet soul and I feel so lucky that I found my forever person. I’m looking forward to all of the adventures life has in store for us, and the comfort of knowing that I’m with the perfect person for the ride.